We have the k-cup brewer. My husband drinks coffee - no problem. I drink tea - problem. How do we get rid of the stale coffee taste in the k cup holder in order to brew a decent cup of tea or cocoa? Thanks. Good question. I also use my Keurig brewer to make tea and hot chocolate. But you’re right about the tea, particularly herbal teas. The answer lies in keeping the lower half of the brew head clean. First, I take out the K-Cup holder and give it a good wash and rinse. Then I take a large bottle brush to the inside of the lower half of the brew head, followed by wiping all the interior surfaces I can reach with some kitchen towel. It’s a pain to get to all the surfaces, so I probably only do this once every week or two. But when you don’t do it at all, a layer of fine coffee residue builds up, and that is the source of the taste-transfer when you make tea. Firstly, Love your site...entertaining, educational, enlightening. 3E's or 4 for EXCELLENT! By the end of this year or early next year I will have a short book published on coffee, "Sipping Coffee Watching Life Go By", my travels through Europe, fun facts, "coffee dates", recipes. Will send a copy. Now I may have missed it, have you written anything on roasting beans at home? I have read people who are getting great results from popcorn machines to roast their beans. Would like to learn more about it. Recently I have taken cues to be more, pro-active for the environment, that and my DeLonghi Magnifica not working in Canada as it was purchased in the UK and have not been able to purchase a power adaptor to increase the wattage so it will work. I have been using my French Press to make coffee. I read your recent article on manual grinders, something to put on my list of next purchase as I will need a new French Press, present one has had its day. Would like to experiment and try to roast my own beans, grind and create a great cup. May not be easy as it sounds but I'm up for the challenge. Thanks for the kind feedback, and the excellent question. I haven’t written a great deal about home coffee roasting, but do have an introductory page on the topic here. Now you have reminded me, I’ll look into this in more detail, and maybe review some home coffee roasting equipment. I like my coffee very strong. I think I like my new vacuum pot but even after adding lots of extra coffee grinds and boiling the water for a few extra minutes it still comes out weaker than I like. Is there anything else I can do? There are three ways to increase the strength of your coffee. 3. Use a “stronger roast”. It sounds like you have tried the first two. Now, perhaps, it is time to try some different coffees. Darker roasts typically taste stronger than mild or medium roasts. If you like your coffee to taste strong, a mild roast won’t give you the kick you are looking for, however much coffee you use. Try some darker roasts, and let us know how it goes. Is coffee an effective hangover cure? Yes, coffee can help cure your hangover! I don’t have a hangover every day! But yes, I party from time to time. The thing is, I don’t know the best way to get rid of the hangover next morning. There seem to be a lot of old wives’ tales out there. Everything from eating bacon to the ‘hair of the dog’. But someone recently told me coffee was best. Is this true? 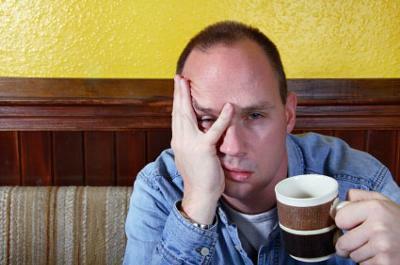 Is coffee really an effective cure for hangovers? Thanks for the question. As it happens, coffee is effective for curing hangovers. In particular, it is effective when combined with one or two aspirin, or other anti-inflammatory drugs. In other words, knock back the aspirin with a nice cup of coffee. And you’re right, there are a ton of remedies people swear by – anything from eating a full, greasy breakfast, to drinking a lot of water, and yes, taking a drink...the hair of the dog. None of these so-called cures have stood up to any kind of scientific scrutiny. However, recently a scientific study was conducted, albeit on rats. Michael Oshinsky at Thomas Jefferson University in Philadelphia, Pennsylvania, tested the effect of low doses of ethanol, about the equivalent of a single drink, on rats. The study suggests that hangovers are caused by one of the chemicals that builds up in your body while drinking - acetate. The reason caffeine and over-the-counter anti-inflammatory drugs seem to provide relief is because they block some of the effects of acetate. So there you have it. Once again coffee comes to the rescue. That said, I don’t think I would waste any of the better coffees I buy on curing a hangover. I’m sure a low-cost coffee from a local store will do the trick just as well! Who makes the best coffee maker? I’m sure you have had this question before. But after listening to discussions at work and with friends, it’s hard to decide on which is the best coffee maker. Is there such a thing? Is there such a thing? Good question. 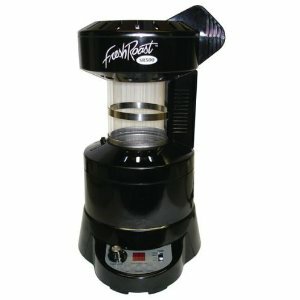 There is certainly no easy answer, because there are so many different types of coffee makers. And at the top end, among commercial coffee makers, there are some very good and very expensive machines. But if we confine our search to home coffee makers, a few companies jump out as manufacturers of quality brewers – Bunn, Cuisinart and Keurig, for example. As you suggest, everyone has their favourites. But if we were to judge the best coffee maker on the basis of the number of people who buy it and then say they love it, the winner would be the Cuisinart DCC-1200 12-Cup Brew Central Coffeemaker . 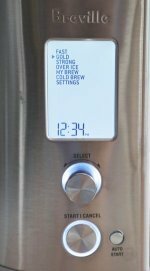 I suggest the Cuisinart brewer based on the sales figures and the feedback through various sites like Amazon, which do a great job of providing insight into what people really buy and really like. If it is a single serve coffee maker you want, I think Keurig has done the best job with its K-Cup brewers. There are certainly other one cup brewers out there, but the Keurig machines seem to be leading the pack. We have a couple of their brewers ourselves and can vouch for their quality. I know this is an incomplete answer to your question, but hope it helps. The fact is, just about every coffee lover out there has his or her own opinion on who makes the best coffee maker. 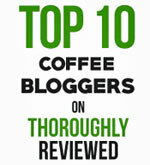 For more information, visit our full page about the best coffee makers. 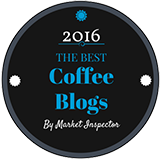 Thermal Coffeemakers: Are they Worth It? I grasp the advertised benefits to a stainless steel thermal coffee carafe: They retain heat for hours sans a power-hungry hot plate, and they are less likely to break than a glass decanter in the event of a mishap. On the other hand, you can't tell how much coffee remains inside a stainless decanter at a single glance, and the worst of it is that they seem to retain a very strong coffee odor from the very first use onward ? And it's impossible to get rid of the odor using baking soda, dish soap and vinegar simultaneously, in my experience. Consequently, I'm not entirely convinced, even though there is no hot plate "baking" going on, that the coffee brewed into a thermal carafe will taste all that much fresher than a conventional automatic drip with a glass carafe on a hot plate. Besides the problem with coffee odors clinging to the stainless steel, thermal automatic drip coffee makers seemingly brew hotter coffee to warm the carafe in the absence of a hot plate. The result, from my unscientific comparison of a KRUPS and a CUISINART thermal coffeemaker, is a considerably more bitter brew than a conventional automatic drip coffeemaker. All of which brings me to my question: Has there been any evaluation on this website or in the "coffee world" in general of the thermal coffeemaker trend? Is this methodology really an improvement over a glass/hot plate combo, or does the retained heat inside a thermal decanter just go on cooking the coffee by virtue of the fact that the heat has no escape? Moreover, is that strong coffee odor inside the thermal carafe that develops with the first use of the machine and persists through all attempts to wash it out indicative of the reality that the coffee will taste more and more "off" with continued use when compared to a relatively odor-free glass carafe? In other words, is the coffee brewed into a thermal carafe really the improvement that so many coffeemaker buyers anticipate? You make some great points here. We have a Cuisinart thermal carafe coffee maker which we use from time to time – usually when entertaining. We like it because we can take the carafe to the table and know the coffee will stay hot for a while. I must admit I haven’t noticed the same problem with an enduring coffee odor in the carafe, and certainly haven’t noticed any problem with the taste of the coffee in the carafe. As for whether using an insulated carafe is the way of the future for coffee makers, I don’t think so. It’s just another option, there for the people who prefer it. Do you know of any coffee shops that offer this type of service? Coffee shops have become a way of life for meeting places. Many times we are meeting friends and we can just sit and read or think, knowing the party we are waiting for will come to us when they arrive. However, what about when you are meeting a new contact. You describe what you're going to wear, then sit down, order your coffee and take off your coat. Surprise, the black coat with a red toque becomes a blue sweater with a green scarf, and no hat. You tell somebody you are 5'6" but you are sitting at the table, so unless you are 7' tall height is irrelevant. You can carry a specific book and leave it on the table. This used to work when I was selling advertising in an international directory. But I don't carry that big red book around with me any more. And what happens when you arrive early, but the person you are meeting arrived earlier (so they wouldn't miss you). You think you've looked at everyone already there, but somehow you miss the person you're looking for. You sit near the front and ask every person coming in, are you xyz? No - not them! After about 20 minutes you begin to think how long do I wait in case they are detained and still coming. Well, I have a solution for the coffee shop management. Clear plastic brochure holders are the answer. When you arrive and you are waiting for someone you ask the staff for a Table Topper Hello. I'm sure I can come up with a better name as time goes on. Also, I ask them if there are any Table Topper Hello's out. This would be quite easy if they were numbered. The people meeting each other would be able to use a code, a logo, but not actual name. So if 2 Table Toppers are out, you check to see if those people are the one you're looking for. If they aren't the people you're looking for, then you put the Table Topper on your table, knowing the person you are looking for hasn't arrived. That way you can order your drink, use the rest room, or possibly read without the fear of missing the person. If the coffee shop doesn't have these Table Toppers you could bring your own when meeting someone you haven't met yet. The last time I was to meet someone they texted me, but I don't carry a cell phone. If you don’t want to wait for the coffee shops to buy into the idea of Table Toppers, you can always bring your own. Make a tent card, or something similar, with a logo, company name, or greeting and just place it on the table in front of you. Maybe I should distribute some Coffee Detective tent cards! Can you tell me how to roast coffee beans? I love the idea of buying green beans and then roasting them at home myself. But I have no idea how to start. Can I roast them on or in my stove? Do I need to buy a coffee roaster? Any tips would be appreciated. Roasting your own coffee beans is a step most coffee lovers don’t take. But it is a wonderful way to enjoy coffee at its freshest. It’s also a good way to save money on coffee, as you can buy green, unroasted coffee at a significant discount. In answer to your questions, yes, you can roast coffee beans with your stove – either in the oven or on top in a pan. You can also roast beans in a popcorn maker. If you want more control over your roast, and would like to experiment with light, medium and dark roasts, you are probably better off buying a home coffee roaster.